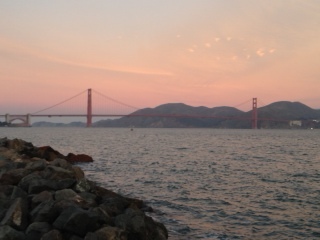 PowerHiking was out early this morning and the Golden Gate Promenade along Crissy Field was truly georgeous. The moon was setting over the Golden Gate Bridge as the sun was rising behind the city skyline to the east and reflecting off the homes crawling up the Sausalito hills across the Bay in Marin County. Tankers passed each other under the bridge. 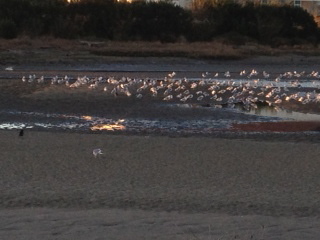 Hundreds of birds enjoyed the estuary and the joggers and walkers along the Promenade enjoyed the serenity. How truly fortunate the Bay area is to be able to enjoy the vast beauty of San Francisco Bay. PowerHiking is looking forward to the Fort Point Civil War History Day this Saturday, January 26th. We will be there and look forward to seeing you there as well. Fort Point is a jewel in the Parks Conservancy. Built in 1853 to protect the Bay from Confederate attack during the Civil War, the over 100 cannon and walls several feet thick never saw battle. It is today a monument to another era and you can participate in instruction on how to load and fire a cannon, view historical photos, view officer and enlisted men quarters and visit the wonderful bookstore – not to mention that it is located right under the Golden Gate Bridge at the base of the South Tower. The views are breathtaking and it is also the location of the spot where Kim Novak jumps into the Bay in the Alfred Hitchcock movie Vertigo. PowerHiking visits Fort Point in the Golden Gate chapter walk in PowerHiking San Francisco 3rd edition. View it at http://www.powerhiking.com. The Civil War History Day should be fascinating with exhibits, lectures, instruction, photos and reproduction of live events from the era. We are looking forward to it. Hope to see you there! POWERHIKING was out early this morning and watched the sunrise over the San Francisco Bay. Beautiful and serene, it was a gorgeous site as the waves lapped at the sand. A barge quietly made its way out to sea and sea gulls began to fill the sky. An occasional seal barked, otherwise it was quiet. 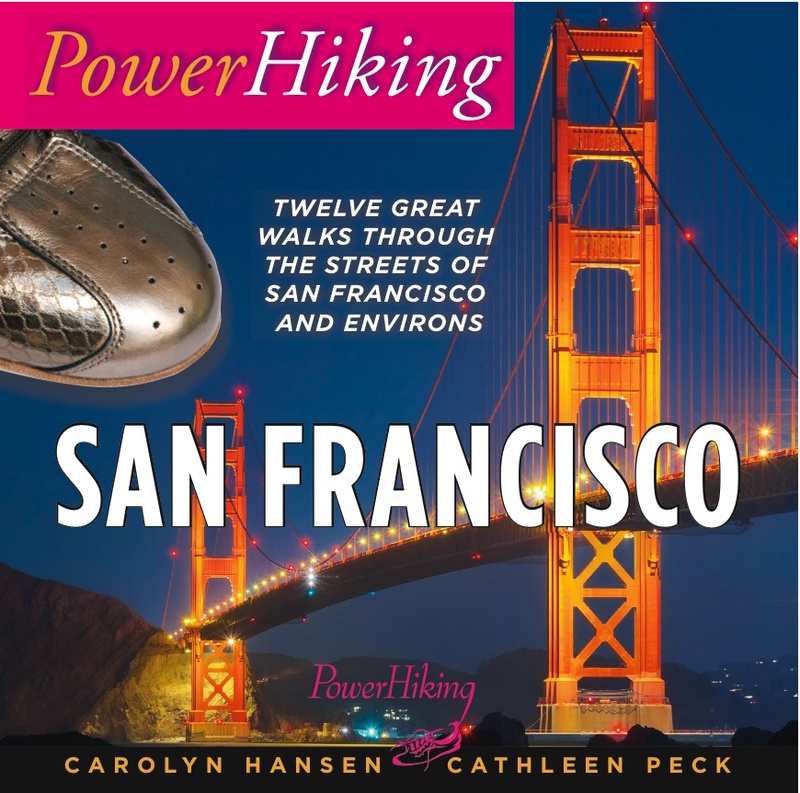 We were walking the Crissy Field chapter in PowerHiking San Francisco 3rd edition. It is a very popular place to walk and usually filled with walkers, joggers, children playing in the sand and dogs frolicking. But first thing in the morning was peaceful. 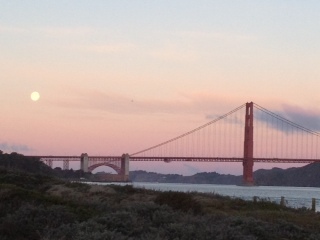 Take a look at the beautiful Crissy Field photos at http://www.powerhiking.com. It was clear, cold and beautiful this morning and POWERHIKING was out early on one of the walks from PowerHiking San Francisco. Check it out at http://www.powerhiking.com. Large numbers of pelicans skimmed low above the water and the migrating geese flew above them. The ducks floated in the sunshine and seals frolicked in the water around them. 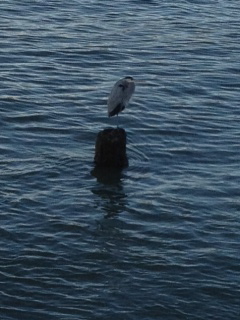 This blue heron rested up for his busy day. What a wonderful morning! You are currently browsing the Powerhiking's Blog blog archives for January, 2013.